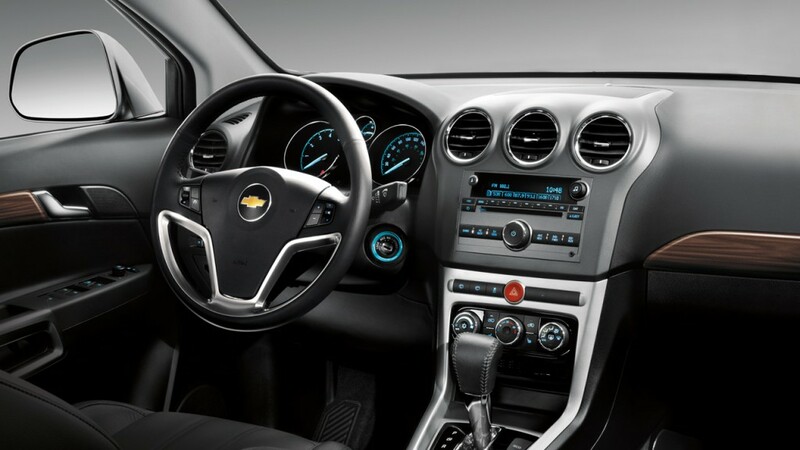 The center stack of a 2013 Chevy Captiva Sport without the MyLink infotainment system. So it appears that those looking to acquire a used Captiva Sport for personal use (after it’s done its fleet or government duty) will likely be best served by a 2014 model with a MyLink radio — as it’s the last piece of the CUV that was holding it back from truly entering the 21st century. Any news on powertrain changes? Still available with AWD? One of my questions also. Does this come in an AWD version or just FWD ? … available in FWD and AWD forms. The 2.5L has more power and gets better gas mileage, I hate the 2.4L! I love my 2008 Saturn Vue and it warms my heart to see the Captiva all over the place (I work at Disney World so rentals are everywhere). It’s also nice to gun my 3.6L V6 to pass them on I-4. They should put a HF 2.5L I4 with 202HP and 192TQ, a HF 2.8L Turbo V6 with 300HP and 301TQ and a new HF 3.9L V6 with 346HP and 328TQ. A plug-In / 2-Mode Hybrid would be cool too! With a 2.8L Twin Turbo V6 with VVT, SIDI, and D.O.D which has 394HP on 6 cylinders and when it shifts into V4 mode it will have 263HP. With the battery packs it will get up to 55-60 mpg (V6) or 70 mpg (V4) and then will still get 35 mpg (V6) or 40 mpg (V4) with the 2-mode Hybrid technology. . . . . .
Is GM discontinuing the Captiva Sport Fleet? In my opinion it shouldn’t be a fleet car. . . . . .
Have the 2014 MyLink models commenced manufacture yet?